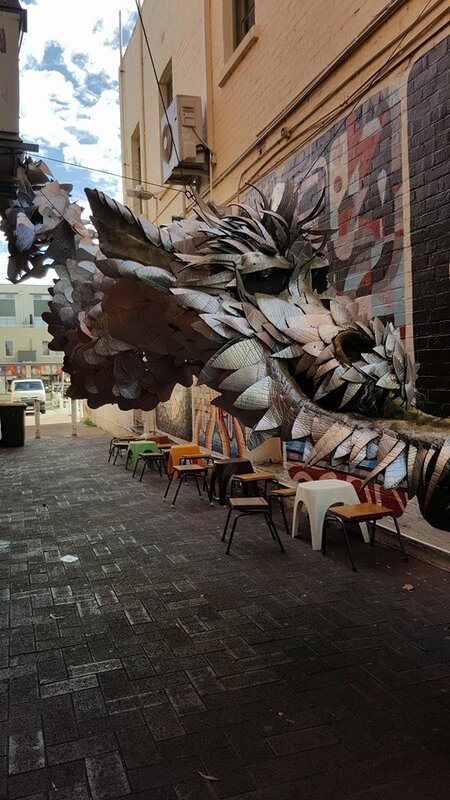 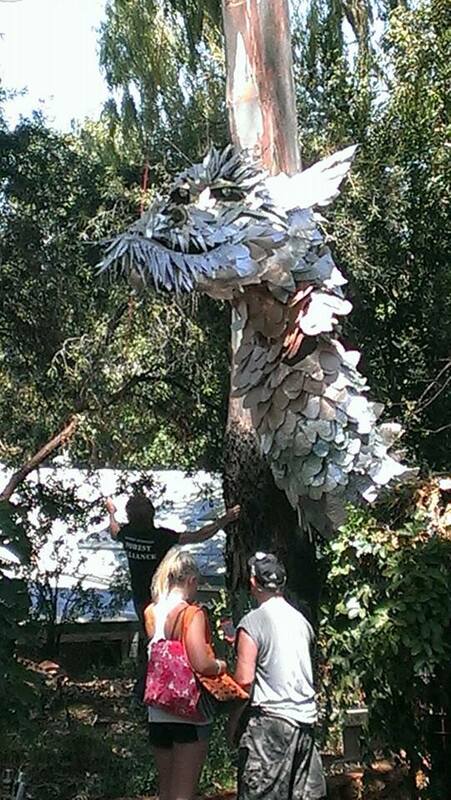 Zephyr the Dragon – an 8m long Dragon designed and built with the Earthwise Community Group – suspended between trees. 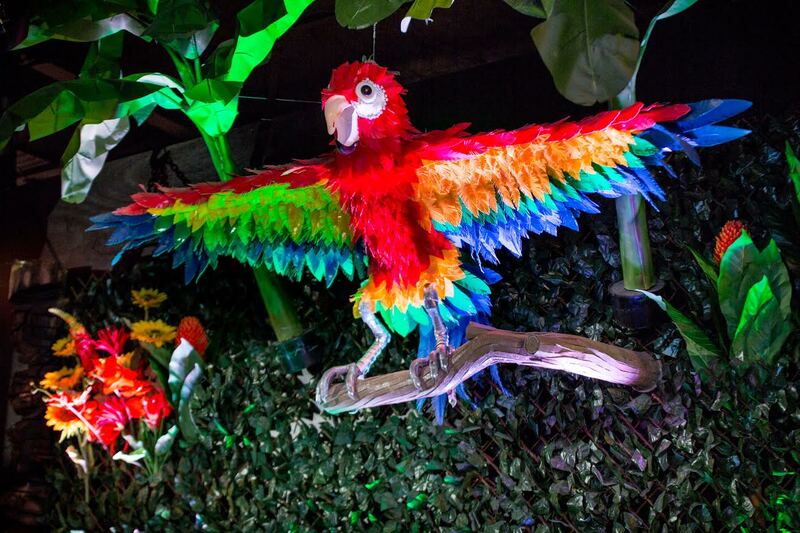 A Large 2.5m wingspan Macaw for the Senor Pepper’s Nightclub, Northbridge – installed above their DJ console. 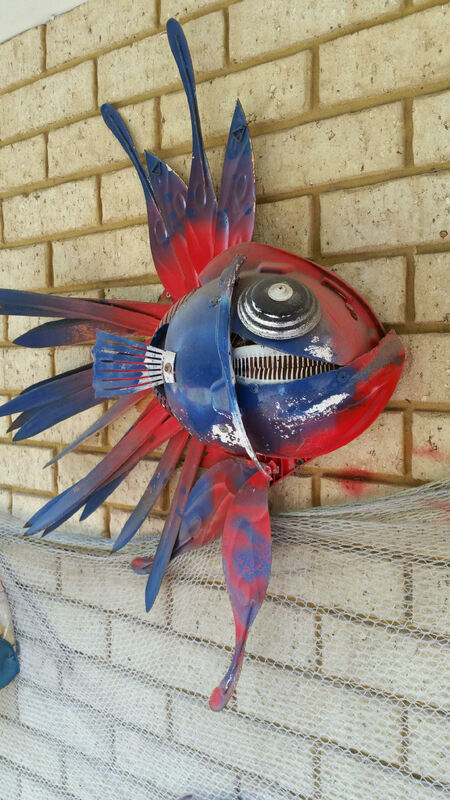 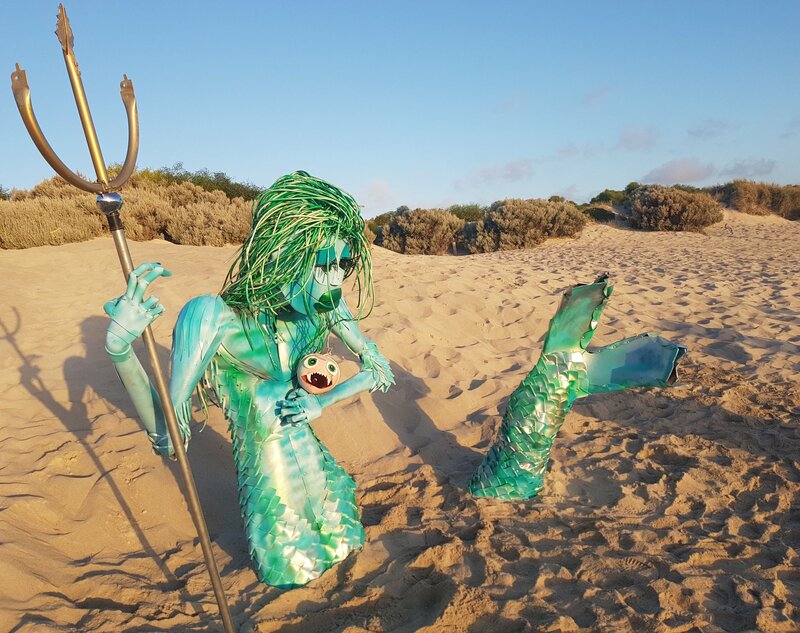 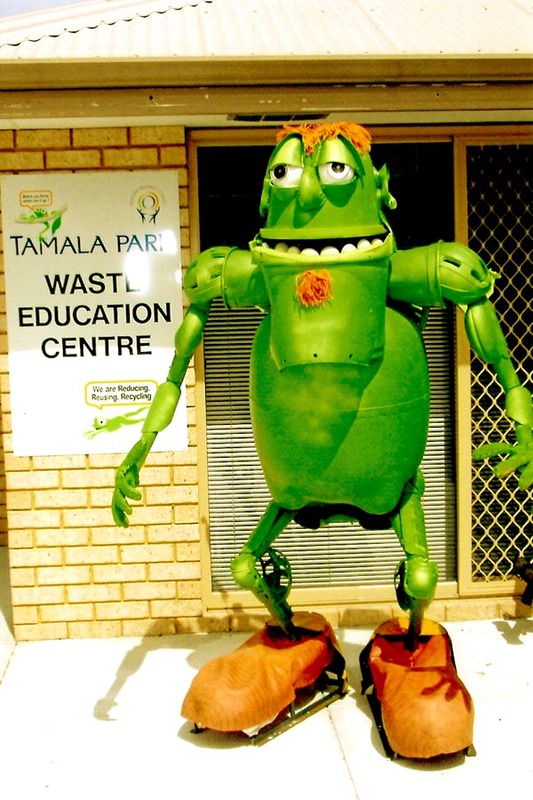 A Multi-Sculpture interactive installation at the Tamala Park Education Centre in Joondalup for the Mindarie Regional Council. 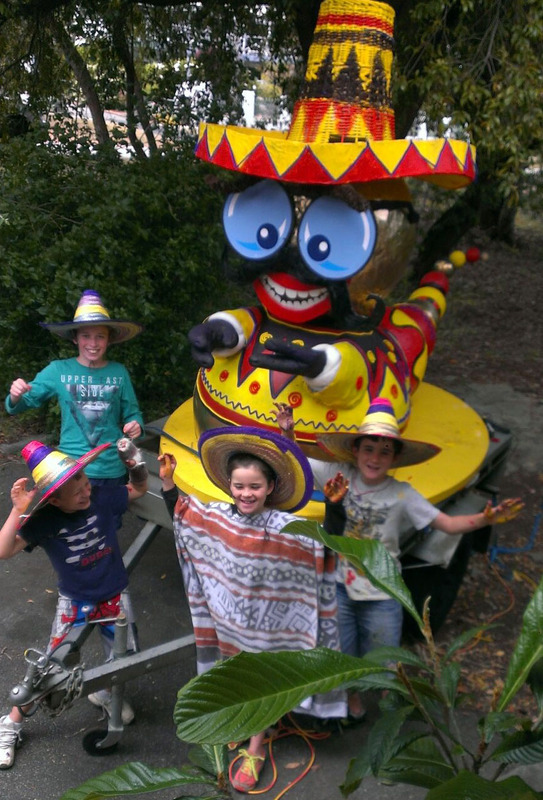 The BIG BEE designed and built with the Vic Park Collective for the 2017 Vic Park Summer Street Party. 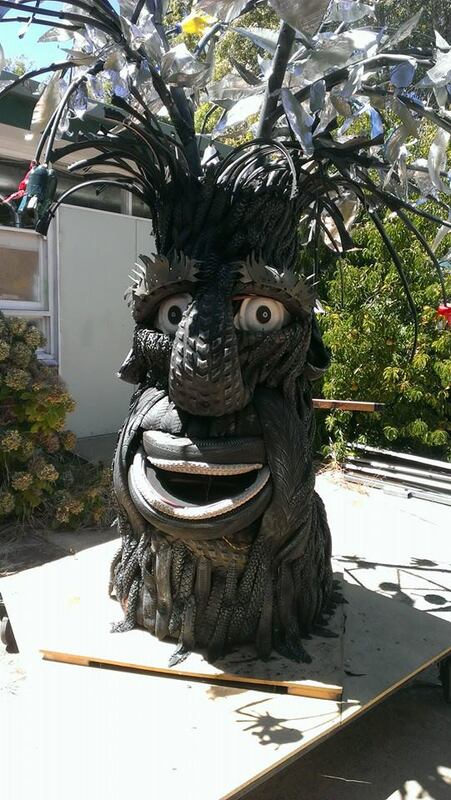 ‘Tyron Treadbark’ – a 4m tall tree made from car and bicycle tyres – built with local Nannup residents and school students for the Nannup Festival. 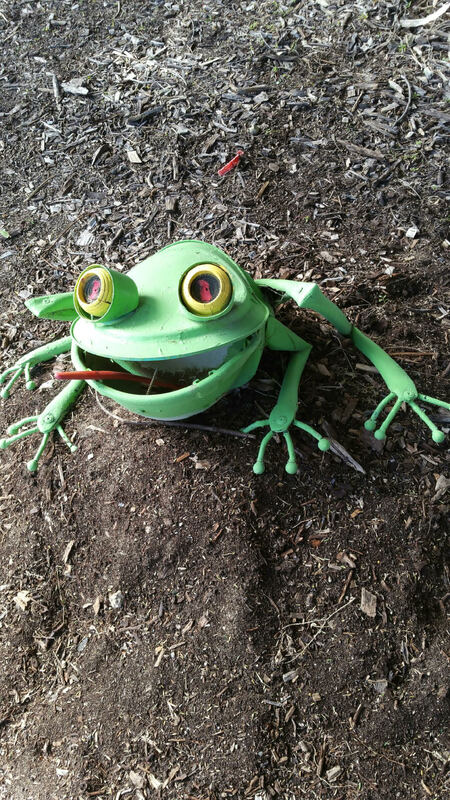 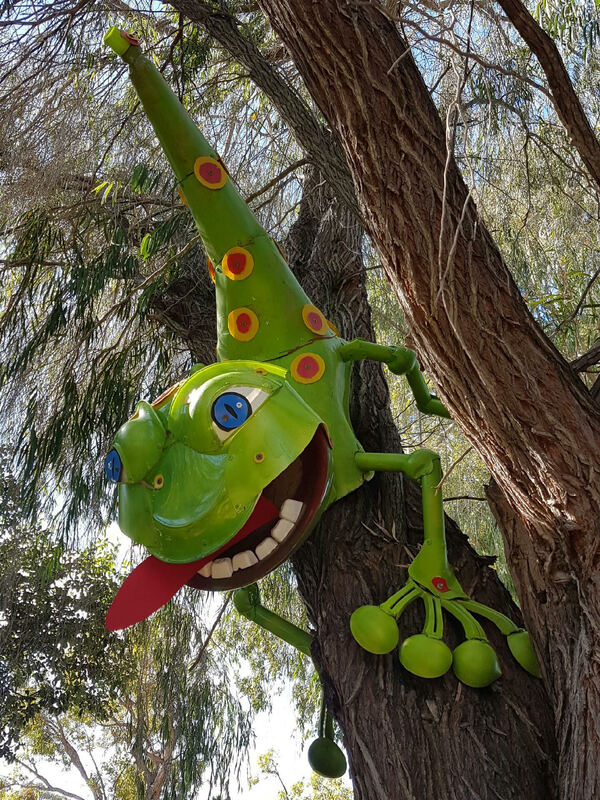 A Large Gecko – designed & built with the Duncraig Education Support Centre Students – installed in to a tree. 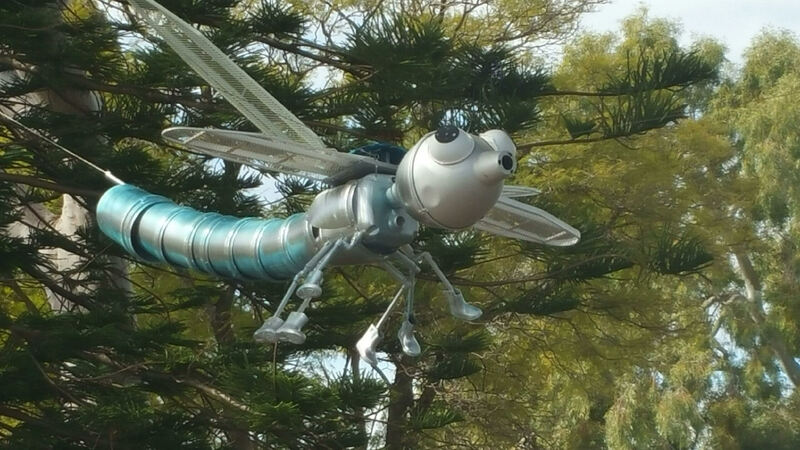 A Large Dragonfly – designed & built with the Rossmoyne Primary School River Rangers – suspended between trees. 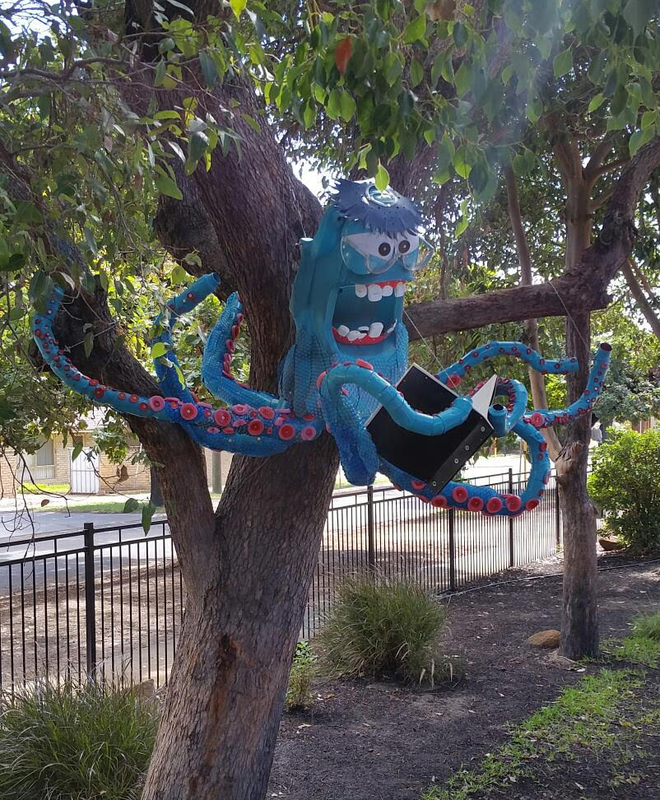 A Large Kraken – designed & built with the Regent College River Rangers – installed in to a tree. 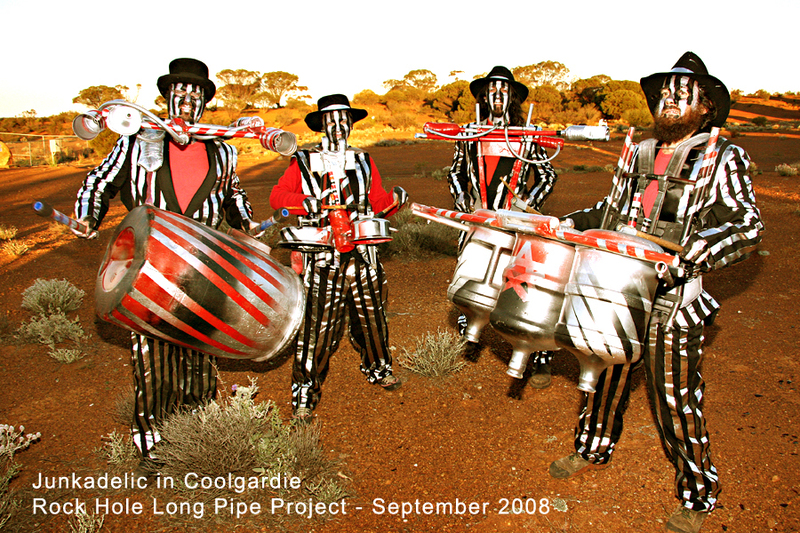 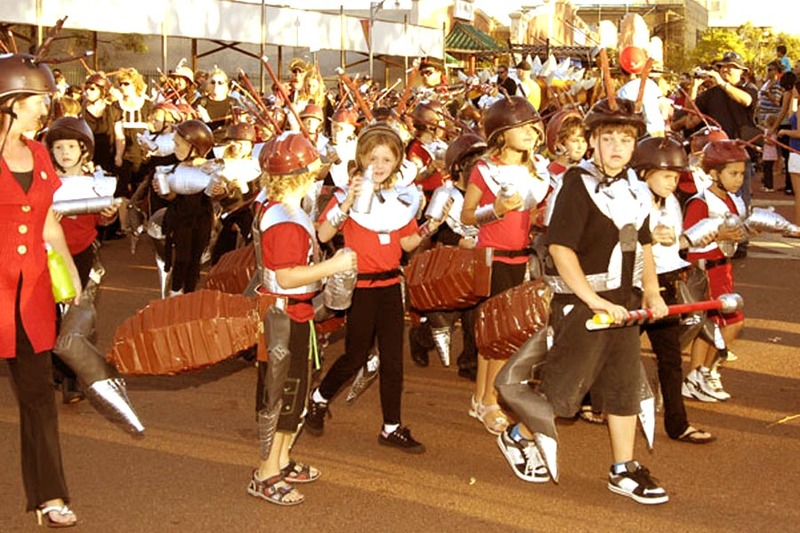 The ‘Croco-Xyle’ - A 4-meter long interactive playable music instillation at the Beswick Community Arts Centre in the Northern Territory, built with the students from the local Beswick Community Primary School. 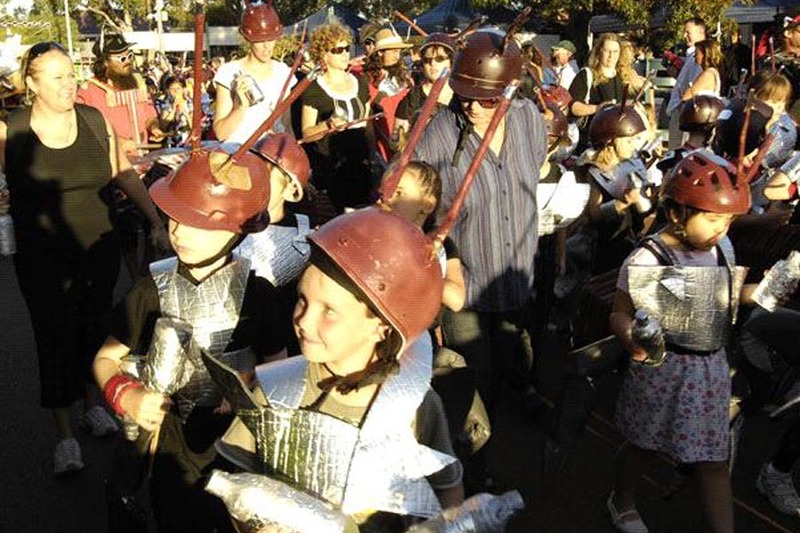 The Zig Zag Festival in Kalamunda. 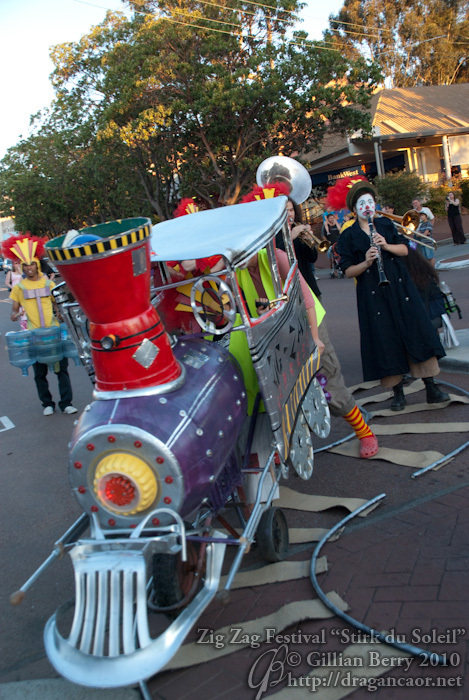 If you have an involvement with a parade event and need experienced float builders to help you stand out and look great, get us on board! 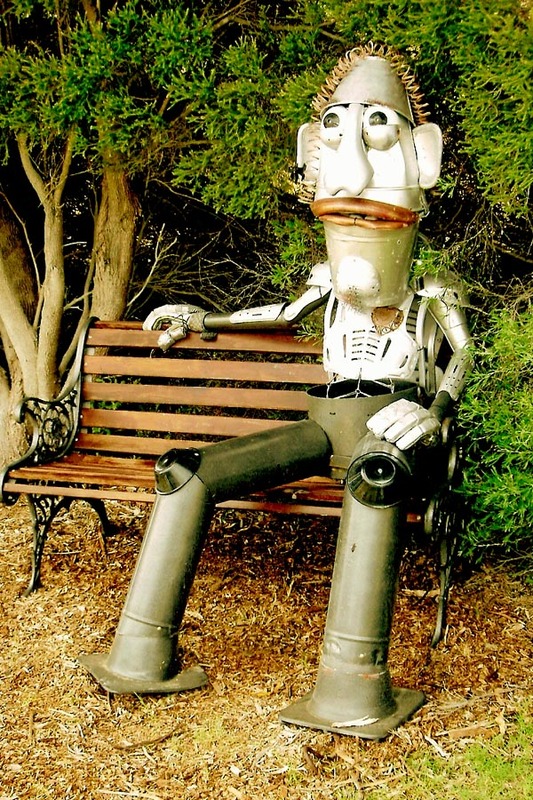 ‘Contact Us’ and let us know what your requirements are to secure our involvement!